From our extensive experience with acquisition-oriented companies, management teams, and their equity partners, we understand their appetite and requirements for acquisitions. We can quickly and confidentially talk with you and assess your company to determine the opportunity to sell to an institutional private equity group. This could be as a "platform" acquisition for launching a new investment or as an "add-on" acquisition to fit with one of their existing companies. Transaction structures range from full acquisition, recapitalization, or majority investment to minority investments. 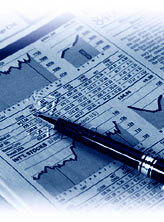 We know the market for private companies and the associated issues. We can assist you in achieving your business and personal objectives. This may include meeting needs for shareholder liquidity, internal growth, debt reduction, operational challenges, and succession planning. Assisting you with developing a transitional management plan and your eventual exit of the business on an appropriate timetable. We work only with a company's principals and all communications are discreet and confidential. To learn more about working with us, contact one of our Managing Directors or email us at sforesman@ascentpartners.com.